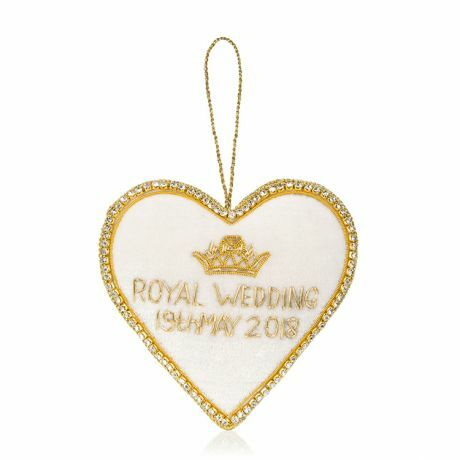 This official commemorative range celebrates the marriage of Prince Harry and Ms. Meghan Markle on 19th May 2018 at St. George's Chapel, Windsor Castle. 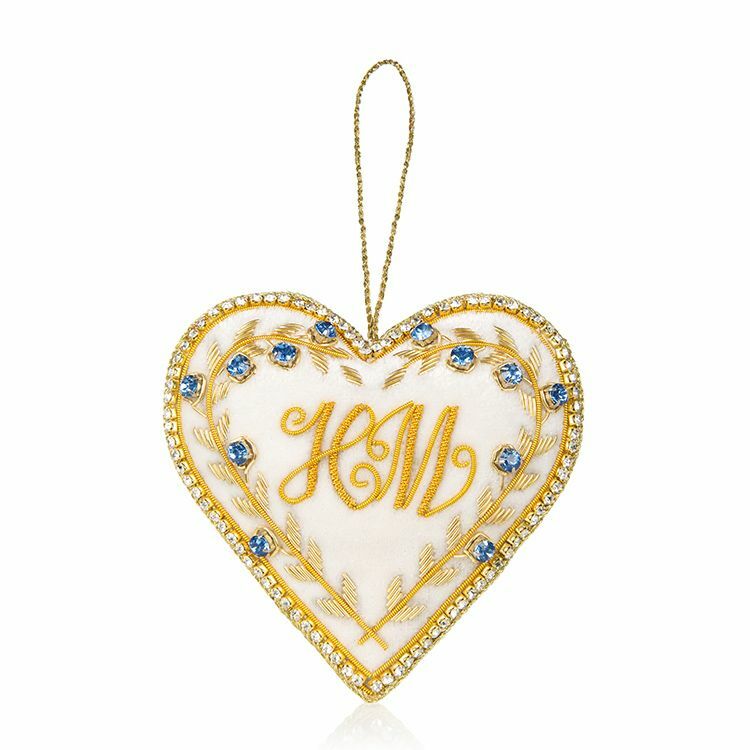 Delicately embroidered with the initials of Prince Harry and Meghan Markle and the date of their wedding, this decoration is embellished with sparkling jewels and glistening threads. Delicately embroidered with the initials of Prince Harry and Meghan Markle and the date of the wedding, this decoration is embellished with sparkling jewels and glistening threads.